The global crisis is understood as a banking crisis brought on by the mindless deregulation of the U.S. financial arena. Investment banks leveraged assets to highly irresponsible levels, issued questionable financial instruments with fraudulent investment grade ratings, and issued the instruments through direct sales to customers rather than through markets. The crisis was initiated when the U.S. allowed Lehman Brothers to fail, thus threatening money market funds everywhere.The crisis was used by the investment banks, which controlled U.S. economic policy, to secure massive subsidies to their profits from a taxpayer bailout and from the Federal Reserve. How much of the crisis was real and how much was hype is not known at this time. A third crisis is also in place. 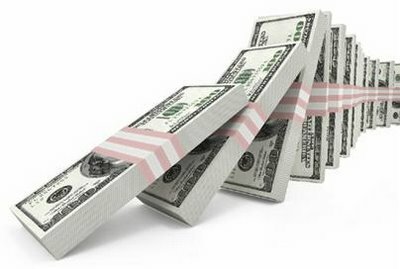 This crisis will occur when confidence is lost in the U.S. dollar as world reserve currency. This crisis will disrupt the international payments mechanism. It will be especially difficult for the U.S. as the country will lose the ability to pay for its imports with its own currency. U.S. living standards will decline as the ability to import declines. Dr. Roberts was Assistant Secretary of the Treasury in the Reagan administration. His latest book, How The Economy Was Lost, has just been published by CounterPunch/AK Press.